Major MALCOM WHEELER – NICHOLSON, military expert, forecast the use of circus “bat-wings” for parachute troops, in the August issue of Mechanix Illustrated. 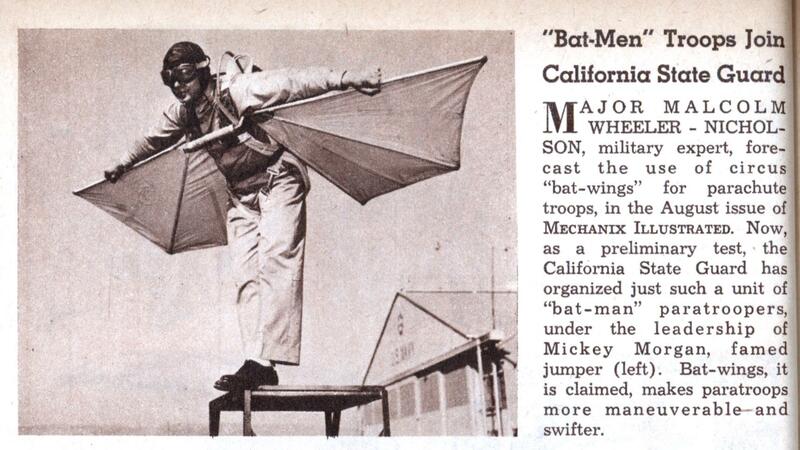 Now, as a preliminary test, the California State Guard has organized just such a unit of “bat-man” paratroopers, under the leadership of Mickey Morgan, famed jumper (left). Bat-wings, it is claimed, makes paratroops more maneuverable-and swifter. Correct me if I’m wrong, but old wing sets like this didn’t categorically not work for extending and controlling parachute drops, but were considered too dangerous because, in the event of an uncontrollable spin, they were too hard to take off. 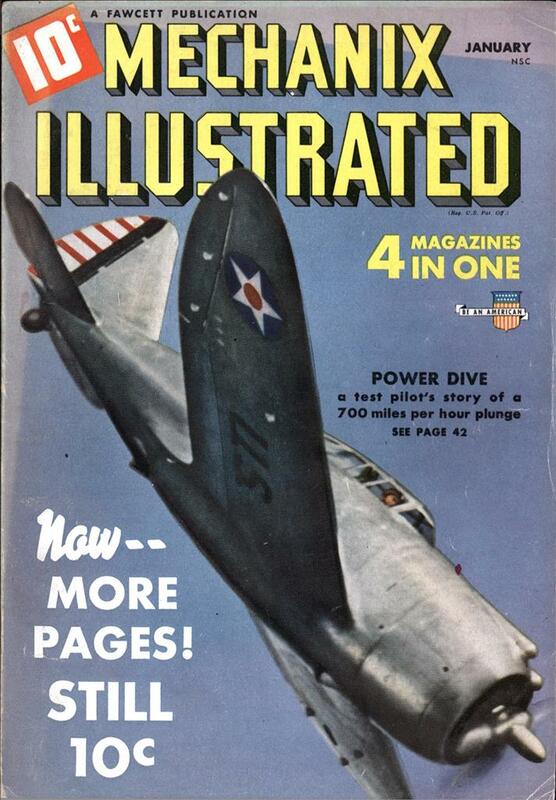 As I recall, that was the main thing that got modern flying squirrel suits mainstream acceptance. Must…resist…obvious…obvious…obACME!!! ACME ACME ACME!!!! HAHAHAHAHA!!!! Actually, the concept was abandoned because paratroops need to land in as tight a formation as possible. WWII showed when you had troops scattered over hells half-acre you tended to lose a lot more troops than if you drop them in a compact mass. Maneuvering does work well if you have a small team of highly trained individuals (SEaL’s, Green Berets, etc.) with stuff like HALO and HAHO, but for a mass drop you want them tightly grouped and you don’t want to expend the time and money to train thousands of Paratroopers to be skydivers, mass drop training is costly and time consuming enough.